Editor’s note: The following story is part of the annual Top Private Companies report featured in the March 15 CityBusiness. The tourism, hospitality and entertainment industries are the biggest drivers of this spending, thanks in part to the openings of the $1 billion University Medical Center, the $1.2 billion Veterans Affairs Hospital and the nearly $1 billion North Terminal at Louis Armstrong International Airport, set to open in 2019. Ryan Gootee General Contractors, which reported a revenue spike from $51 million in 2017 to $64 million in 2018, saw much of its work in these sectors. Projects include the Sazerac House on downtown Canal Street and the recently-completed Fillmore Theater on the second floor of Harrah’s New Orleans. The firm also wrapped up construction on the $11 million Good Shepherd School in Gentilly. 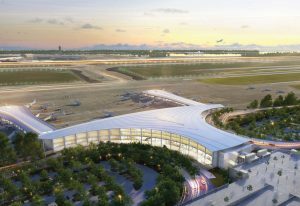 President and CEO Ryan Gootee said a large public job that could be coming down the pipeline in the next few years is a proposed Interstate 10 flyover ramp to the new airport terminal in Kenner. He predicted plenty of work in that area in the near future. “I don’t see a decline in the market right now,” he said. Palmisano continues to see much of its work in the tourism and hospitality industries. The firm is in the middle of construction of the Atelier Ace Hotel at 546 Carondelet St. and the Higgins Hotel & Conference Center on The National World War II Museum’s campus. President Wesley Palmisano said he continues to see more work in the company’s civil and concrete divisions, with replacement of utilities and street repairs on Canal Boulevard in Lakeview and various other streets in the Lake Terrace neighborhood. 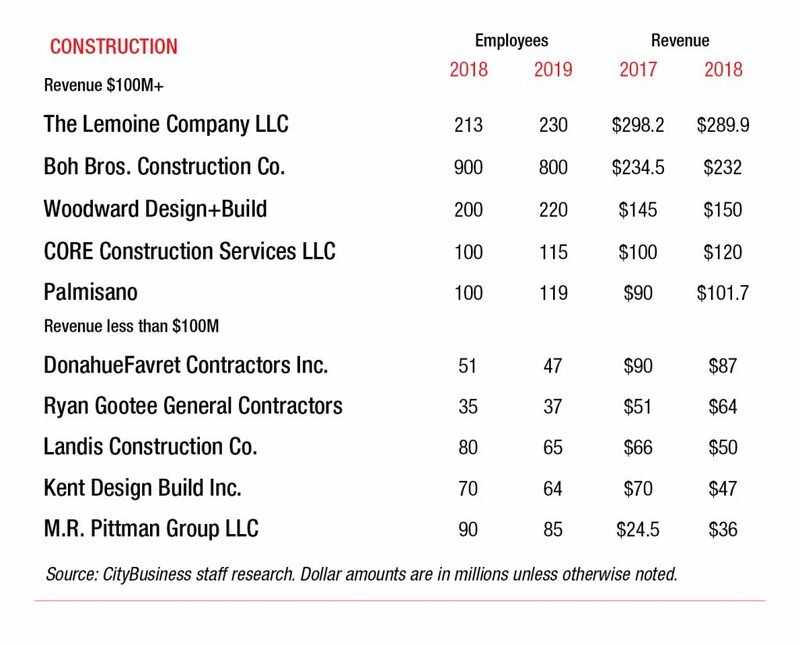 Construction companies in the New Orleans area reported mixed revenue results in 2018, with either gains or slight declines or holding steady. One of the biggest gainers was CORE Construction Services, which saw its revenue increase from $100 million in 2017 to $120 million in 2018. The firm has done a bevy of work for the Recovery School District and the Orleans Parish School Board in the Katrina recovery effort. The company, which is one of the top school builders in the country, is also working on a $60 million extended-stay Residence Inn at 316 St. Charles Ave.